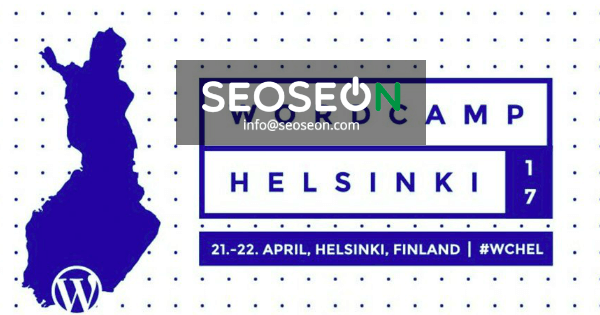 WordPress WordCamp Helsinki 2017 - SEOSEON Ltd. The WordPress WordCamp 2017 event will be held in Finland for the third time on Friday 21/04, at Virgin Oil Co. in Helsinki. Previously, WordCamp has been held in Tampere in 2015, and in Helsinki in 2016. WordPress is an open source publishing platform, which is powering more than 75 million websites worldwide, making it one of the most popular content management systems by far. WordCamp is a locally organized casual conference, where professionals from different fields share their tips for more efficient use of WordPress. The topics often include the development of additional components, technologies, security issues and business-related subjects, among other things. You can find an updated list of the speakers here. Tickets to the event normally sell out within the first two hours, but space can still be found. For example; sponsors are welcome.